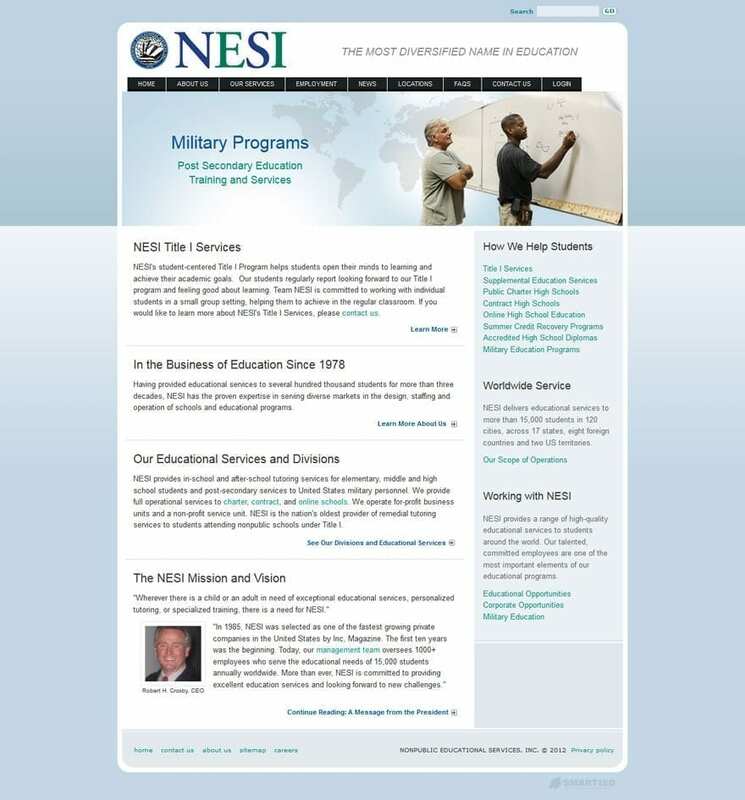 NESI is an educational management company that provides Title I and SES, public and private alternative high schools, military support and instructional services, and online education. NESI delivers educational services to more than 15,000 students in 120 cities across 17 states as well as eight foreign countries and two U.S. territories. NESI was recently named in the INC 5000 of fastest growing companies. At rank 2751, NESI utilizes its website to drive student requests, grant notices and awards, and as a portal gateway for the employee intranet and online class systems. By integrating all of these different platforms into 1 unified architecture, NESI has been able to provide enterprise level service to its clients and customers at a fraction of the normal development costs.